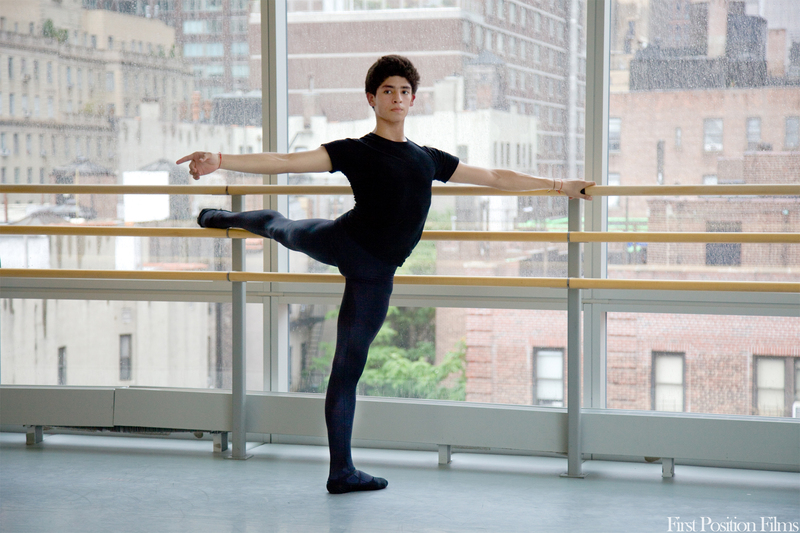 First Position takes a look behind the scenes as six young dancers prepare to compete in the Youth America Grand Prix in New York City, the world’s largest student ballet scholarship competition. Directed by Bess Kargman, the documentary follows these performers as they tirelessly train all over the world in the hopes of winning awards, scholarships to prestigious dance schools, or even a chance to be placed in a professional ballet company. The film revolves around the lives of Aran, Gaya, Michaela, Miko, Rebecca and Joan. Aran is eleven and currently lives in Italy, although his father, who is in the army, is constantly moving their family from place to place. Despite his young age, Aran is already a rigorously trained performer and takes his dancing very seriously. Gaya, also eleven, is Aran’s best friend from Israel, despite the fact that they don’t seem to speak the same language. Like Aran, Gaya is already competing internationally and training in classes well above her age group. Michaela, at the age of three after losing both her parents, was left to die by her village in war-torn Sierra Leone because of her dappled skin pigmentation, which was considered to be a sign of the devil. She and another girl from her village were adopted by a New Jersey couple and now, at the age of 14, Michaela is a fiercely competitive dancer who pushes herself to the limit in order to prove her naysayers wrong, even competing in New York with an injured foot. Miko, 12, from the San Francisco area, is driven to perfection, and her obsession with ballet is only fueled by her hyper-involved mother, who is also trying to make Miko’s brother, Jules, 10, into a professional ballerina, something he clearly does not want to become. Rebecca, 17, is the only dancer in the documentary competing for a chance to be placed in a ballet company because, for dancers, seventeen is when their short, professional careers begin. Rebecca is exactly what comes to mind when one thinks of a ballerina, her high school nickname of “Barbie” not only perfectly describes her physical appearance, but her personality as well. Finally, there is Joan, 16, who has come to America from Columbia to seriously pursue dance in the hopes of making enough money to send back to his family. Joan is an incredibly beautiful dancer, and seeing him struggle, both at home with his family and training alone in New York, adds a power and depth to his performances. First Position gives an interesting look into the intense labor these children put into crafting performances that are meant to look beautiful and effortless. That being said, the documentary offers no real surprises. These are all extremely talented dancers, so it is not shocking to see them train day and night and then win top awards. The lack of drama at the final awards ceremony could easily be forgiven if so many of the dancers chronicled here didn’t also perfectly feed into the abundant stereotypes of children dancers. Aran, Gaya, Miko and Rebecca all demonstrate too many bad characteristics of young, professional dancers to be sympathetic or interesting. On the other hand, none of the children are such terrible extremes, or propelled by horrifying enough stage parents, to even provide a sort of perverse entertainment. Michaela and Joan, however, both have heart-wrenching stories that demonstrate the power of determination and dedication. Yet when placed in juxtaposition to the other children in the film, their stories end up seeming like token gestures of diversity and opposition in the face of bland, cookie-cutter dancers who have had everything handed to them. The film is entertaining; all six children are superb dancers with bright futures in dance ahead of them. Nonetheless, First Position lacks any real sense of adversity or rejection that would give this documentary real depth.